30 Day Style Challenge, Day 13: Sunday Recap – So Far, So Good! It’s beginning to look a lot like fall even if it doesn’t quite feel like it yet. 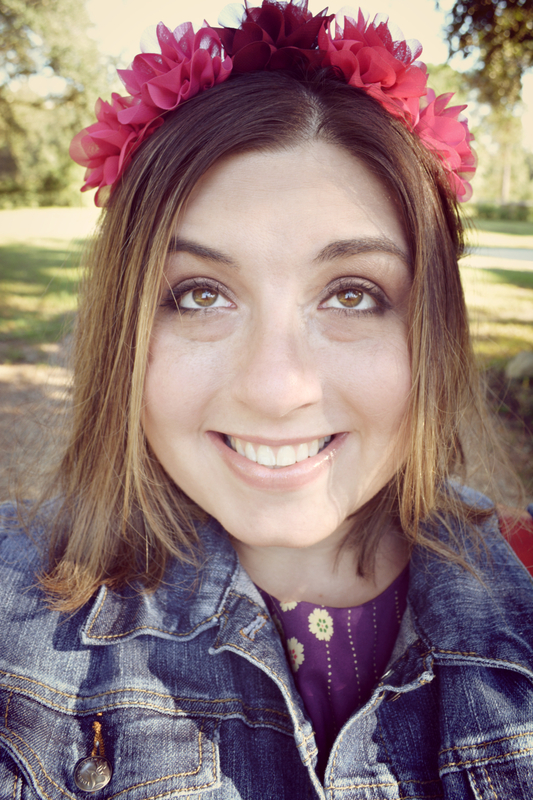 I’ve been reluctant to wear this flower crown because I really want to try making one myself, and it still could happen. I love how this outfit is less matching and more “goes together,” and it’s casual and also a bit girly. The bag has been my everyday purse for a while. My mom calls it my school bag. It makes me feel like I’m a professor at a fancy British university. Here’s the dress without the jacket. I was a little worried about it when I ordered it because it has a high neckline, and I think those make me look like I have a short neck. That’s a weird thing to be insecure about, right? However, I was pleasantly surprised, and the slight scoop does the trick. 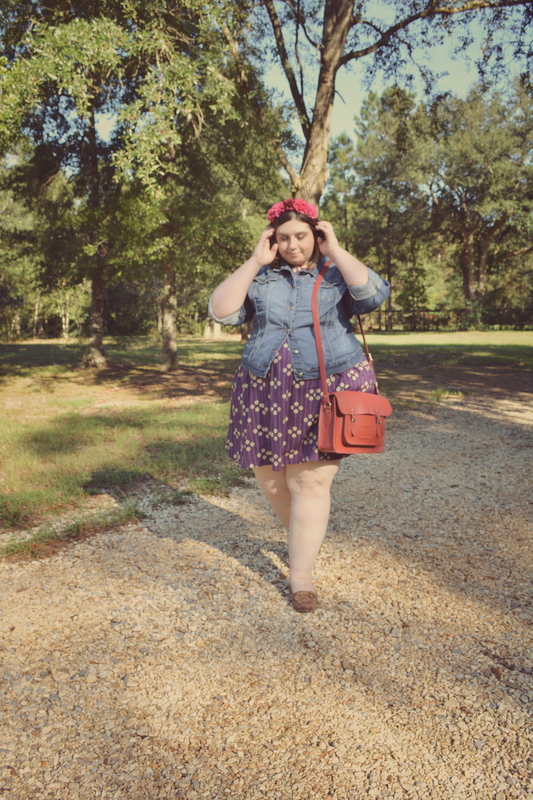 I’ve seen other bloggers wear this dress in different prints, so I wanted to try it out. I picked this one because its one of the few ModCloth offers in a 4X. I hope they’re able to carry more sizes to the other ones in the future, especially the popsicle print! I would love that for next summer. Thanks for joining me on this little walk through outfits past and present. We’re in the middle of the journey, and that’s what it’s all about! 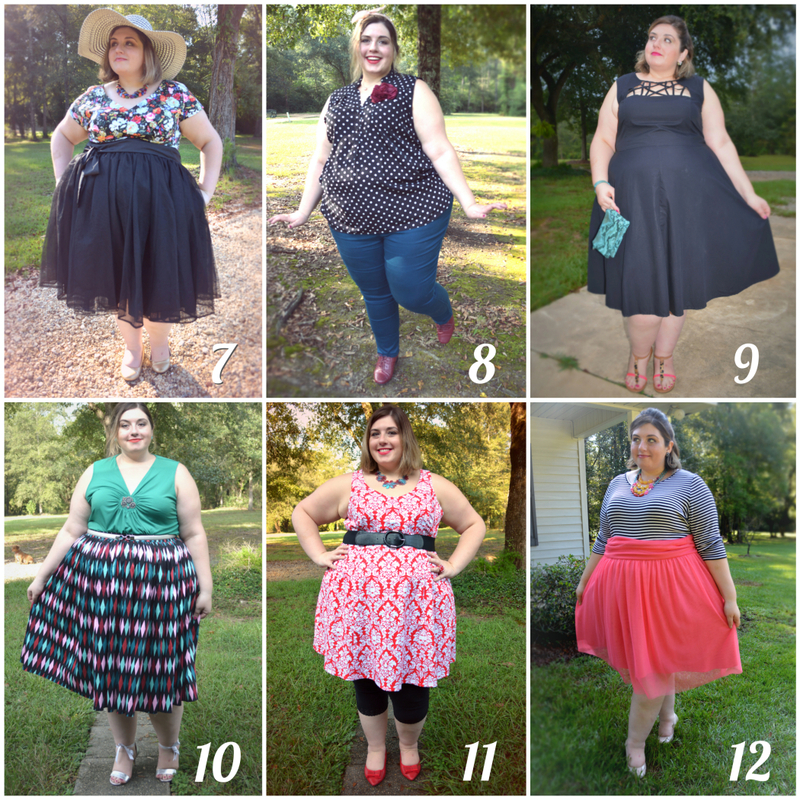 5 responses to 30 Day Style Challenge, Day 13: Sunday Recap – So Far, So Good! You are flippin’ adorable Miss Becca! I was going to comment which of your 12 outfits were my fav, and then I realized they all were because they are all so different and still very you. But 13 takes the cake with that headband- obvi! Hope you have a good week! Looking forward to seeing what you have in store for us! Thanks, Amanda! That’s nice of you to say. Take care! The flower head piece is really cute, and I love how the denim jacket can double as a shirt. Thanks! I live in that denim jacket in the fall.